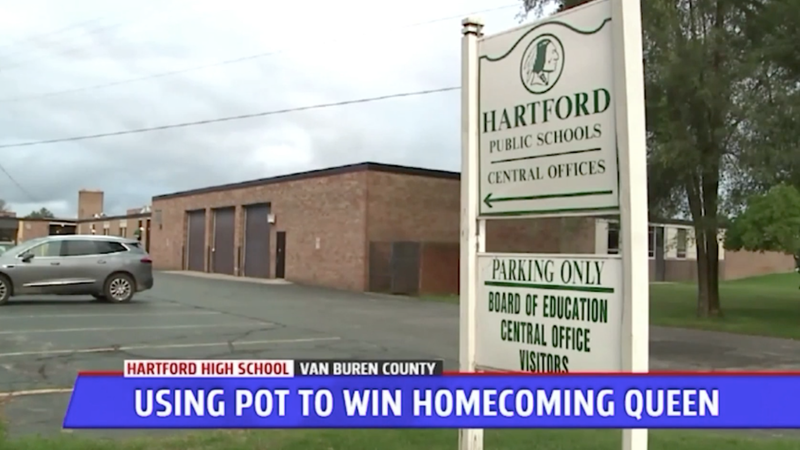 In a move I’d sooner expect from Tammy Metzler, an extremely savvy cheerleader in Michigan reportedly gave out pot brownies at her high school to earn some homecoming votes. The Washington Post reports that the girl had been nominated as a finalist for homecoming queen and decided to bring a dozen brownies for students, particularly for the football players. Police say that she hoped the brownies would land her votes and, honestly, she’s got mine! Can we still vote for her, even if we’re adult women who have no relation to this school or entire situation? Hilariously, only two of the 12 brownies were recovered in full and “partial remains” of a third, which means many students at the Hartford, Michigan high school had a blessedly chill day. The cheerleader’s actions were uncovered after someone (probably a rival homecoming nominee, I assume) anonymously snitched to some sort of app that notifies the police. Buzzkill! She has since been barred from participating in homecoming and at least eight students might be expelled for taking part in the brownie scandal. Kids, stay in school, because one day pot brownies might show up.